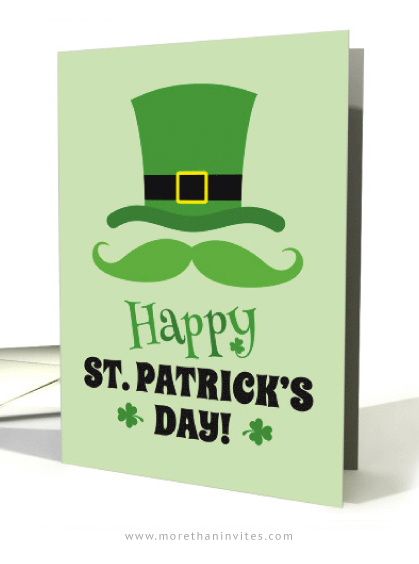 Happy St. Patrick’s day card featuring a leprechaun hat and green mustache on a green background. Text on the front: Happy St. Patrick’s day! Available from Greeting card universe.